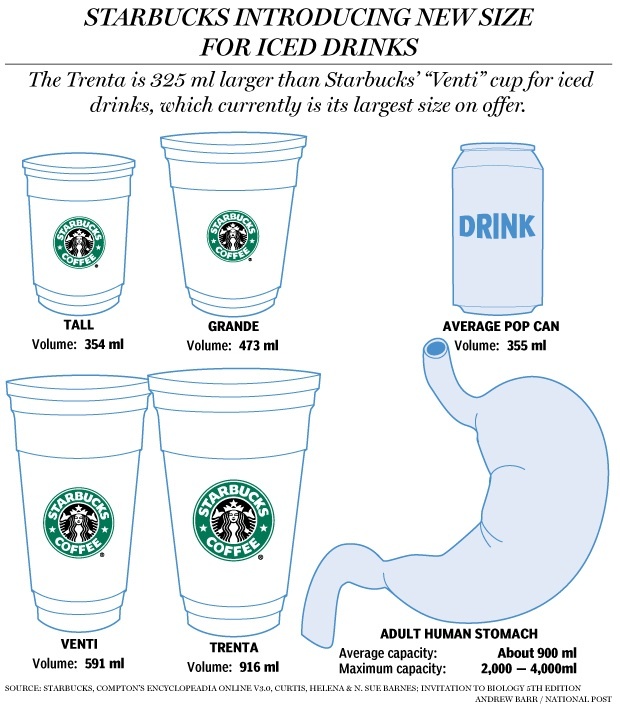 Weighty Matters: Starbucks' "Trenta" - the caloric equivalent of more than half a gallon of Coke! Starbucks' "Trenta" - the caloric equivalent of more than half a gallon of Coke! Ok, I'm not a math maven, but here's what I figure. Their new "Trenta" size is 7oz more than their Venti. Based off the caloric information for a Venti, if you order a, "Trenta 2% iced peppermint white chocolate mocha with whip", you'll be hauling in 904 calories. What else has 904 calories?